I'm a devotee at the Denver group and just finished putting together a "how to" video for our service readers on harmonium playing. Joyful piano melodies ripple like cool mountain streams with mood changing colors like the seasons. Pure and crystal-clear solo piano compositions evoke subtle and beautiful feeling within. The notes express the creative playfulness and depth of Nature in a way which touches the peace and beauty within each listener. “Your music is so beautiful that I will have it played over KAZU. Thanks again for the magical music.” – Mike Schmitz (KAZU fm) Pacific Grove, California. 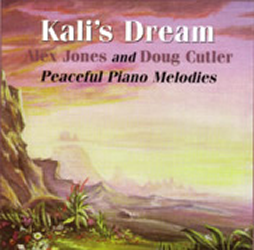 “I have your CD Kali’s Dream and count it among the most beautiful music I’ve heard.” -Therese Coupz, San Francisco, CA. Alex was a monk in the SRF order for 5 years in the seventies. In the early years his music was sold at Encinitas Imports. Alex music has been listened to and enjoyed by the SRF Monastics. All Alex Music can be listened to and order through his web site alexmeditation.com. Julie has an angelic voice and a special gift with working with children. She has a doctorate in music education and has produced a lovely CD called “This Dream.” This Dream is a compendium of 9 spiritually inspiring, prayerful songs that resonate with Master’s message of devotion to the Divine. Julie’s soulful voice is hauntingly beautiful. To hear her music, please visit http://cdbaby.com/cd/julierose. Lewis has an extensive musical background. He spent his early years performing and touring in Canada and Europe and performed with many well known recording artists of that time. In the mid 80’s, he recorded an album of original music in Calgary’s renowned Thunder Road Studios. Included in the recording are many musicians from the Calgary Philharmonic Orchestra. He also was a regular in recordings studios, doing audio work for various corporations for 20 years. The album “ TranscenDance” brings together Lewis’ musical experience with his passion, devotional chanting. All the of the chants on this album were penned by Paramahansa Yogananda, (1893-1952) who founded Self Realization Fellowship in the early 1920’s. With this in mind, I set out to come up with unique arrangements that I hope will inspire and uplift the listener. At the very least, these wonderful chants will be calming and peace inducing. The arrangements take into account my western roots. Chanting per se, does not usually incorporate harmony, but I must confess that I yearn to hear it. You will note that the chants start off rather simply, and gradually new layers are added to build the chant to a climax. I have also endeavored to include non-traditional instruments. I do this as a matter of inspiration. I try to be open to what I feel will enhance the overall sound scape. In “Door of My Heart” I have added an additional musical phrase, which I feel compliments the traditional melody. In “I Am The Bubble” I have also added additional musical phrases along with bagpipes, which I have heard astrally for years. I do sincerely hope that you enjoy these renditions of these most sacred chants and that you find inspiration from them on your spiritual sadhana. Just arrived home from a high school homecoming night (where I took yearbook photos). This is just what I needed. Thank you!!!! I just received my TranscenDance CD. It's fabulous! I love the arrangements. It will be perfect for our meditation services. I was at the kirtan at the Yoga Studio South a couple of weeks ago and really enjoyed it. I picked up a couple CD's of the new TrascenDance album for my sister and me. I am absolutely loving it! I love all the instruments - especially the bag pipes. Shakti Deva did an excellent job! My girlfriend bought a CD as well. At convocation I met a canadian devotee who has made a lovely CD of Master's chants. Very beautiful. I want to share the website with you, www.shaktideva.ca just click on "media" to listen to samples of the chants. Each arrangement is unique, but very true to the chant. Kind of western style, with harmonies. Peace all! Thank you for the freebie samples on your website, Lewis. When I checked it out on saturday, I put my headphones on and listened to every sample. Very very beautiful! I will keep letting people know about what you have created. One is that I have a new CD out for anyone who might be going through the grieving process. It is called "When Angels Whisper." 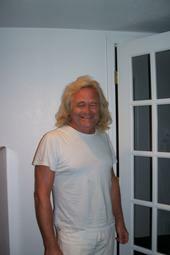 People can go to my website www.heartcenteredmusic.com and from there download the songs they might want to hear. The purpose of the CD is to inspire, uplift and offer comfort. Many CDs available, some including Cosmic Chants. Pianist Ron Hart and upright bassist Gary Fitzgerald's new jazz CD, "April in Paris," has just been released on PureBeam Music. This exciting mainstream and progressive jazz album features dynamic interplay between these two inspired musicians. An amazing jazz treatment of Hit the Road, Jack as well as five other standards and five originals will delight you. Please visit www.purebeammusic.com for details. The CD can be purchased at www.cdbaby.com and can be digitally downloaded at iTunes and Amazon.com. When in iTunes, in the Search Store box in the top right of the Home Page, type in "Ron Hart & Gary Fitzgerald" to go to the album's page in iTunes. Cheri's singing has been heard in every SRF temple in the Southern California area for Gift Fairs, kirtans, and peace concerts -- including the United World Concert hosted by the Encinitas Temple in 2007, where Cheri sang as a soloist in Beethoven’s 9th Symphony. Known for her ability to convey the essence of spiritual music, Cheri performs regularly at churches throughout Southern California. "Sacred Prayers" (Cheri's most recent CD) is a stunningly beautiful inspirational album featuring several SRF favorites, such as "In the Garden" and three different versions of "Ave Maria." 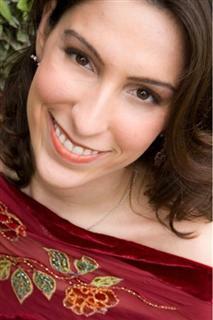 To find out more and hear clips of Cheri's singing, please visit her website: www.CheriStark.com. I found it so enchanting, so spiritual and so beautiful that I am hastening to let others know about it. Excerpts from the CD can be heard on the website www.supremeswan.com -- click on "Music", and when that window opens, click on "Trisha Dunn" at the bottom of the list. When the next window opens, you may scroll down to listen to some of the excerpts. Direct Link to Trisha Dunn on Supreme Swan. I don't usually do these kinds of "plugs", but when you hear Trisha's angelic voice, I think you will understand my enthusiasm. Numerous CDs of Cosmic Chants, on piano and synthesizer. Many people know Bo from the days when there was a grand piano in the center of the Bonneventure and Bo would play songs from the Cosmic Chants during Convocation. The music would float up and provide a wonderful atmosphere. Instructor PHILIP WOLFE has toured the world with famous Rock bands, been featured on MTV videos and has over 20 Album credits. My goal as your Private Piano Teacher is to make the learning experience progressive and enjoyable. Shanti Pronams, This is Pat from Roses Roses, just letting everyone know about my new yoga music group - Mejda Das and Liquid Fire. Mejda Das is my new spiritual name! It means Devotee of Mejda, the boyhood name of Paramahansa Yogananda. Mejda means Second Older Brother in the Asian family custom of addressing siblings. "The soul through the liquid fire of meditation has to repeatedly battle with ignorance and body-consciousness, in order to wipe out the intoxicating influence of cosmic delusion and sin." Mejda Das and Liquid Fire performs mystic music from many cultures around the world including Cosmic Chants of Paramahansa Yogananda, Hindu bhajans, classical Indian ragas, Christian hymns, Sufi, Korean, Buddhist, Native American, Zoroastarian sacred songs, mantras, kirtan, and original spiritual compositions. Ramana Erickson - tabla, percussion, harmonium. 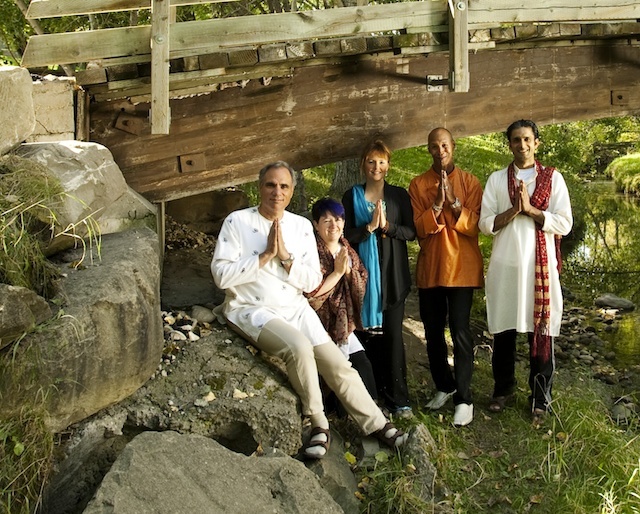 Join us for a devotional concert and chanting at an upcoming event Appearing at festivals, yoga centers, retreats, spiritual events, weddings, public and private gatherings. Steve has written and played all the songs on this site and the C.D. which is shown in the corner (Soul Searchin'). He plays 11 instruments and plays all the instruments on this site and his C.D. as well as all the vocals. He has performed all around the U.S. (see performance sites). You may want to contact him to have him perform alone or with other professional musicians in his band or to recieve his music (CD shown top left). He is able able to write songs that convey an uplifting message, and can cast words that are spiritually correct, and in ways that an audience not familiar with religion(s) can understand. He writes songs with soul conviction too, and thereby inspires the audience in a direct way, not just the actual English meaning of the words, but at a deeper level, in the head, heart and soul. You are welcome to join Steve in his Soul Searchin'. The Soul Calls™ are inspired songs of the Soul to the Divine Beloved. With world class East Indian traditional instrumentation and English lyrics in the style of the mystic lovers of God - Mirabai, Tagore, Rumi, and Kabir - the Soul Calls echo the ageless desire of the Soul for union with the Divine Beloved. As intimate and introspective love songs to God, the Soul Calls affirm the love and longing for, and the presence of, the Divine Beloved and give new universal expression to the devotee’s spiritual journey and devotional experience. This will take you to a page where you will see that there are 5 albums of Soul Calls by Saranya available. Since 2002 the focus for Saranya has been on recording the divinely gifted Soul Calls for posterity. The first three of the Soul Calls CD collection known as The Trilogy chronicle the devotee’s journey from being weary of the world and beginning to call on the Divine Presence, to being told to go within, learning that the soul can soar, having meditative experience and deeper spiritual understanding, being anchored in God, longing for Union, and at last engaging in the Divine Romance. Recorded and produced in India, so far five CDs have been completed with the 6th CD currently in process. The Soul Calls continue to be mystically transmitted to Saranya and to date over 100 Soul Calls have manifested in the meditative state. The Soul Calls provide an avenue for getting in touch with one's own heart and soul and personal relationship with the Divine Beloved and for reconnecting with that spirituality which transcends clime, time, race, organized religion, and things of the world. Bringing together the East and West, this new devotional, universal music that speaks to every listening heart in the language of the Soul is a testimony to the brotherhood of man and the supremacy of the Soul. This new devotional body of work and universal genre of sacred music cuts across all boundaries of distinction. In this age when interior peace is a forgotten, but precious commodity, the Soul Calls dissolve cultural, religious, and ideological boundaries by peacefully carrying the consciousness within - and turning it Godward. In that place of interior peace and Divine Remembrance, expanded personal peace and magnanimity of heart are experienced as one witnesses in the Soul Calls, and in oneself, this new expression of eternal verities. Saranya is a disciple of Sri Sri Paramahansa Yogananda , author of the spiritual classic "Autobiography of a Yogi” (published by Self-Realization Fellowship, Los Angeles, CA.). A practicing Kriyaban yogini since 1972, with profound gratitude for the help of her Great Gurudeva, Saranya brings to the Soul Calls an intimacy born of personal experience of the struggles and joys on the soul’s journey toward realization of Oneness with the Divine Beloved. Official release in stores is planned for early spring, but you can order special advance copies in time for Christmas. The recording features several chants by the revered world-teacher Paramahansa Yogananda, plus a selection of devotional bhajans of India, and two new devotional pieces created by Michael for this album. Some of us at Lake Shrine have put an album of chants together ("Adoration - Chants for Meditation"), which we would love to let other devotees know about. It took 3 years to get around to it, but it's done! Several Lake Shrine kirtan devotees joined us for a meditation in the studio (Kristine made a beautiful altar) and we recorded it, and then added loving polish later. We chanted some of Master's chants, and a selection of bhajans. Our goal was to capture the devotion and simplicity of meditation chanting. The CD has been professionally mixed and mastered. There's a sweet feeling to it (LS Sunday School kids joined in on two chants), and we have permission from Mother Center to donate copies to LS and Hollywood Christmas bazaars with proceeds to the temples. I will also be selling some online (www.meditationchants.com) and at yoga studios, looking to make back expenses (this is a private project, not an official Lake Shrine or SRF one, but we will tithe on profits). I'm excited to let devotees know that long-time SRF devotee Janaka has recently released the third CD in a trilogy in honor of the Great Masters of SRF. 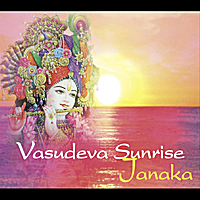 Vasudeva Sunrise, contains seven deeply moving songs dedicated to our beloved Lord Krishna. Vasudeva is another name for Krishna, meaning "the Light filled one". In each of Janaka's albums you will find profound devotion and a gift for singing and composing music to the Divine. A lot of talent, precision and love have gone into the performance and mixing of these soul-songs! The CD cover - a six page booklet - is sensational and matches the beauty of the music. Personally, I am absolutely thrilled as the devotion in Janaka’s music touches me to my innermost core; his previous 2 CDs are among my all-time favorites and this new CD is yet another dimension. I encourage you to buy a copy for someone you love who is in love with the Beloved (and that someone just might be yourself!) It makes a great Christmas gift! You can buy Vasudeva Sunrise and Janaka's other two CDs Jai Yogananda and Oriental Christ through the Supreme Swan website at www.supremeswan.com and in a few days they should be available as well through CD baby and Amazon. Oriental Christ , inspired by the lost years that Jesus spent in India and Tibet. (as described in chapter five of the Second Coming ). The album contains the first official release of a recording of Paramahansa Yogananda's Opal Flame chant and 6 other devotional songs. On the website is information about the artist, the music, and mp3 files, you can listen to the songs. Many devotees are already familiar with the devotional music of Janaka. For those of you who do not already own his recordings, may I suggest that you consider treating yourselves to a copy of “Oriental Christ” for Christmas. “Oriental Christ” or Janaka’s other CD, “Jai Yogananda” would also make a thoughtful gift for spiritually-minded friends and family. Janaka (Jacques Penners) is a long-time European SRF Kriyaban who, for the most part, writes and records his own music devoted to our beloved gurus. In addition to his own works he performs, in “Oriental Christ” an inspirational version of Master’s “Opal Flame”. Paramahansaji left his devotees with so many ways to find God and hold onto God’s presence throughout our days but it seems to me that music was one of Master’s favorite modalities. Uplifting spiritual music like that of Janaka (and many other devotees) has a way of working into the depths of our being and so that little messages of Divine Love have a chance to surface at unexpected times in our daily lives. The CDs are US $14,99 . Please add $ 3, for shipping for 1 CD. plus one dollar for each additional CD. I am a lifelong devotee of Paramahansa Yogananda and a friend and past singing partner of Timmaris McDowell and Jeff Calcara. I have a website where I am offering my music. In particular, I am excited about letting people know about my new healing affirmation chants that follow the principle's in Scientific Healing Affirmations and Cosmic Chants. Jeff Calcara will be playing guitar on this new CD. There is a testimonial letter on there from Margaret Wolff, of In Sweet Company.